Bhopal: Chief Minister Kamal Nath has said that for the better future of the state, we will develop a new map of development. There will be assured efforts to provide jobs to the youth along with agricultural development in this. He said that in 57 days, while the new government has waived the loan of farmers to empower the agriculture sector, we are launching the Mukhya Mantri Yuva Swabhiman Yojana for the unemployed youth. Nath was distributing certificates of 100-days employment to young beneficiaries under the country’s first Mukhya Mantri Yuva Swabhiman Yojana at Motilal Nehru Stadium today. On this occasion, In charge of Bhopal district and Cooperatives and General Administration Minister Dr. Govind Singh, Mayor Alok Sharma was present. Chief Minister Nath said that the biggest challenge before us is to make extensive reforms in the agriculture sector. The foundation of our economy is farming. If we cannot give farmers a fair price for their produce, then we cannot improve our economy. If farmers do not have purchasing power then it will have an adverse impact on our other business activities and the development of the state will be disrupted. We are going to start the loan waiver from today to empower farmers. The Chief Minister said that the second biggest challenge we are facing is to provide employment to the youth. Today's youth is equipped with communication resources. He does not want any contract or commission. He wants employment. If our youth remains disappointed and has no stability in his life, we would not be able to create a better future of our state. For this, we are exploring the vast potential of investment in the state. With the establishment of more and more industries, we will be able to give jobs to our youth. Yuva Swabhiman Yojana is our effort in this direction. We will make Rs 4 thousand per month available to the youth in 100 days. Besides we will give them training also so that they become self-reliant. 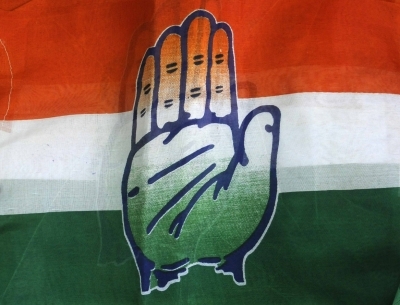 Kamal Nath said that the new government has started well planned efforts to fulfill promises made in the manifesto. After loan waiver, we are starting the 'Yuva Swabhiman Yojana' from today. The government has increased pension Rs from 300 to Rs 600. We assure the citizens of the state that we will fulfill our promises in the manifesto in the next five years. We will not let them down. Public Relations and Law-Legal Affairs Minister P.C. Sharma said that the Chief Minister Nath has fulfilled 26 promises in 52 days soon after taking charge. Yuva Swabhiman Yojana is the first scheme in the whole country which has been introduced to give jobs to the unemployed. No youth of the state should remain unemployed is the only commitment of the government. 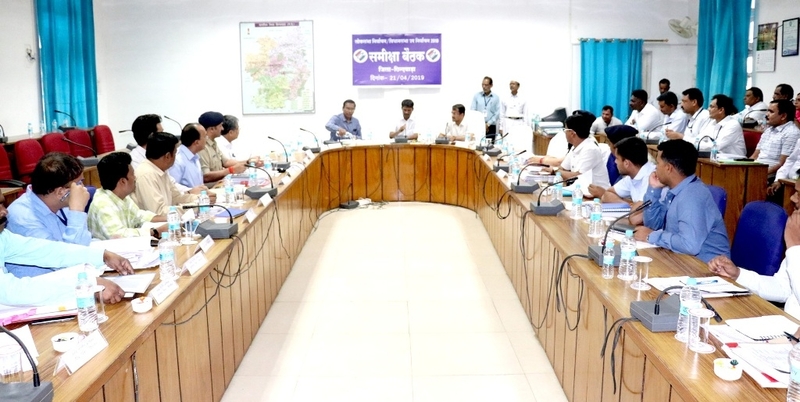 He said that the Chief Minister took part in a round table conference with industrialists recently, started air services to boost investment in Madhya Pradesh. His steps will take the state towards development speedily. Urban Development and Housing Minister Jaivardhan Singh said that apart from empowering the unemployed, the country's first Mukhya Mantri Yuva Swabhiman Yojana will prove to be a milestone by providing them financial support in 100 days. He said that Chief Minister Nath's thinking is that the youth of the state should become self-reliant. The scheme will benefit the youth in the 21-30 age group. They will be trained. Not only this, we will call industrial companies to provide jobs to trained unemployed. We will provide them with full-time employment in the state government's mediation. Singh said that within 10 days more than 1.5 lakh youth have got registered under the scheme. 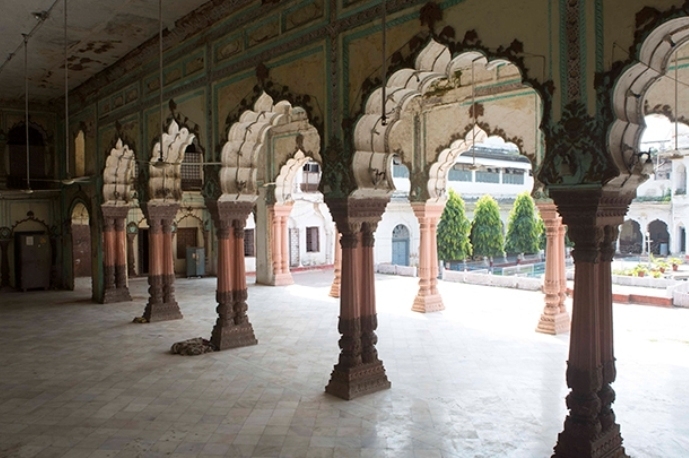 The Urban Development Minister said that the development model which has been implemented in Chhindwara by the Chief Minister will now be implemented in the entire state. 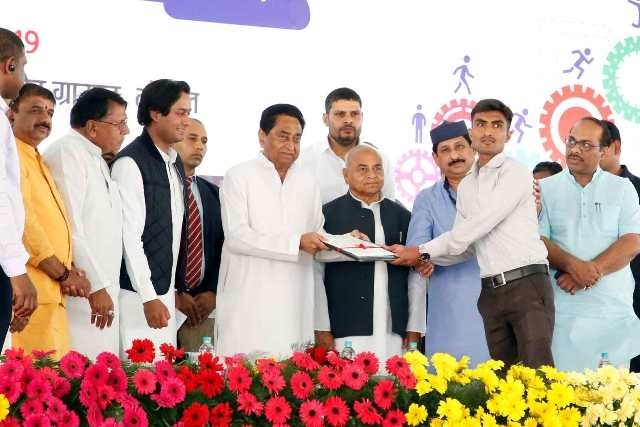 While inaugurating the scheme, Chief Minister Kamal Nath distributed certificates to 12 youths, including Shani Dubey of Bhopal. These youths will get work in the field of computer repairing, Health GD Assistant, Data Entry Operator, General Duty, Office Assistant, Hair Style, Electrician, Electronics etc. In addition, they will be trained in various disciplines according to their interests. Chief Minister Kamal Nath, inaugurated the multilevel parking system at M.P. Nagar on the occasion and gave green signal to the smart bins, transfer station and vacuum road sweeping machine. MLA Arif Masood proposed vote of thanks at the end of the programme. Principal Secretary Urban Development and Housing Sanjay Dube gave the outline of Mukhya Mantri Yuva Swabhiman Yojana.